Monarch Air Group provides private air charter in Newport News, VA. Our clients benefit from top-notch service, unrelenting dedication to safety, wide selection of aircraft, and years of experience in chartering private jets. To obtain a free quote, please use our online quoting tool provided below, or call toll free 1-877-281-3051. Monarch Air Group provides private jet charter flights in and out of Newport News, Virginia, USA. Newport News is a city in southeastern Virginia, at the mouth of the James River on the Hampton Roads estuary. 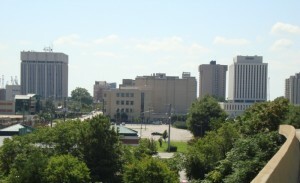 With a population of about 180,719 people, Newport News is the 5th most populated city in Virginia. The economy of the city is extremely connected to the military. The most popular tourist attractions include Mariner’s Museum, Virginia War Museum, USS Monitor Center, Virginia Living Museum, Lee Hall Mansion, U.S. Army Transportation Museum, Peninsula Fine Arts Center, The Newsome House Museum and Cultural Center, and much more. The nearest airports are Newport News/Williamsburg International Airport (PHF / KPHF), which is located 16 miles from the city, and Norfolk International Airport (ORF / KORF), which is located 23 miles from Newport News. 1. DUF, Pine Island Airport, Corolla, NC, United States. 2. ECG, Elizabeth City, Elizabeth City, NC, United States. 3. FAF, Felker AAF, Fort Eustis, United States. 4. FKN, Municipal, Franklin, United States. 5. LFI, Langley AFB, Hampton, United States. 6. MFV, Accomack County, Melfa, United States. 7. NGU, Nas Chambers, Norfolk, United States. 8. NTU, NAS, Oceana, United States. 9. ORF, Norfolk International Airport, Norfolk, United States. 10. PHF, Newport News/williamsb, Newport News, United States. 11. PTB, Municipal, Petersburg, United States. 12. RIC, Richmond International Airport, Richmond, VA, United States. 13. XSA, 1450 Aviation Rd, Tappahannock, VA 22560, United States. 1. Holiday Inn Hotel & Suites, 943 J Clyde Morris Boulevard, Newport News. 2. Omni Newport News Hotel, 1000 Omni Boulevard, Newport News. 3. Holiday Inn Hotel & Suites, 943 J Clyde Morris Boulevard, Newport News. 4. Omni Newport News Hotel, 1000 Omni Boulevard, Newport News. 5. Holiday Inn Hotel & Suites, 943 J Clyde Morris Boulevard, Newport News.